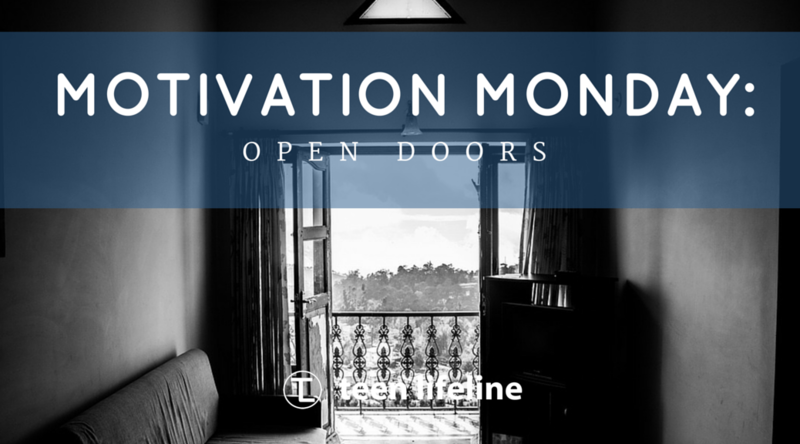 Teen Lifeline was able to reach 837 teenagers in 2015 – our biggest year yet! What is even better about this number is that it happened because of our awesome volunteers who take time out of their week to facilitate support groups with students. Jacob Baker, Youth and Family Minister at Decatur Church of Christ, is one of these facilitators and our guest blogger for Motivation Monday, part 2. We love hearing stories from our facilitators – about the students they reach, conversations they have and doors that are opened through these groups. As you’ll see from Jacob’s experience, support groups can open doors for relationships both with the school administration and students. We love that our facilitators go above and beyond the 1 hour a week that a support group typically takes. Many look for any opportunity to serve their local school district, and we are honored to partner with them in this ministry. If you ever doubt the impact that is made through Teen Lifeline support groups, talk to one of our facilitators. Listen to their stories. Take a peek into some of their conversations. Thank them for the work they are doing. Jacob was able to step into the life of a teenager in a difficult time, walk alongside him, and give him the tools and encouragement he needed to live life better. Sometimes it is one conversation, one small goal set for the future that can make the biggest difference. Because of the trust that had been built with the administrators who have knowledge of the Teen Lifeline group that I lead, I was asked to have some one-on-one sessions with a particular individual who was going through some really tough circumstances. To be honest, I did not know what would come of our times together or how to deal with this particularly, but I ended up using variations of some of the Teen Lifeline activities. This kid had never really sat down to consider all of the issues in his life that he had some control over. We simply prioritized them, and he went to work right away at mending relationships and working hard to make small (sometimes huge) improvements in these areas. It was awesome to see him blossom and Teen Lifeline opened a door and equipped me to help this kid in a way that I previously could not have. Jacob Baker is the Youth and Family Minister at Decatur Church of Christ. He has been leading Teen Lifeline Support Groups in Decatur ISD since 2014.